Acupuncture is believed to help combat stress by stimulating the nervous system and causing the release of neurochemical messenger molecules which work to deactivate the ‘analytical’ part of the brain responsible for anxiety and worry. Stimulating these acupoints will reduce the brains sensitivity to pain and stress allowing increased relaxation. The British Acupuncture Councils’ website shows supporting evidence for the benefits of acupuncture for those suffering from stress and anxiety. Clinical research has suggested that ‘acupuncture might be successful in treating the symptoms of chronic stress’. Acupuncture can also be safely combined with conventional treatment medication for stress such as anti-anxiety drugs to promote a beneficial effect. Acupuncture That Works can offer a range of treatments which could help if you are suffering from stress or anxiety. For a free initial consolation and to find out more please call us on 0800 051 76 88. 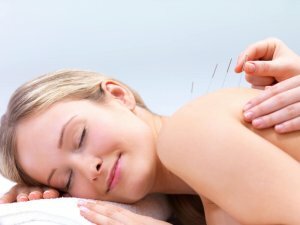 Acupuncture That Works are based in Northwich and provide acupuncture services for Northwich and the whole of Cheshire. Disclaimer: At Acupuncture That Works we are conscious that there are lots of claims made about the results that people can get from using Acupuncture. To be clear, we aim to make no such claims ourselves. We will never claim that Acupuncture will work within a specified time nor that it will bring a specified result. We can say that is possible to deliver short term improvement and short term relief in certain circumstances. It is not and never will be, a miracle cure.